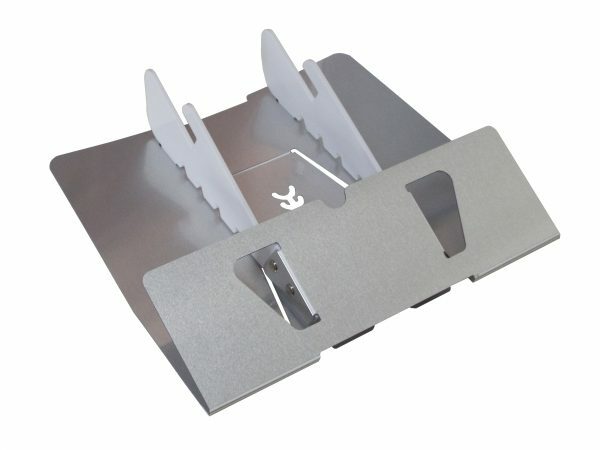 The Arrow Tablet stand Suitable for all iPad models, Galaxy, Kindle Fire, and many other tablets up to 13mm in thickness. Available in silver with white accent. Suitable for all iPad models, Galaxy, Kindle Fire, and many other tablets up to 13mm in thickness. Available in silver with white accent. 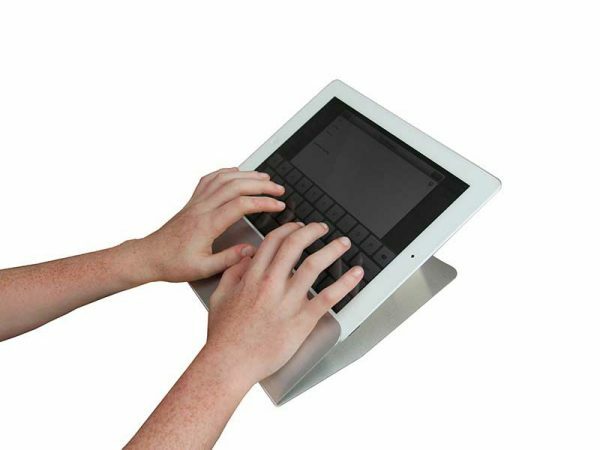 Anyone using a tablet computer will be familiar with the uncomfortable feeling of not having any support for the hands or wrists whilst typing, or having the screen too low whilst viewing the screen. The ARROW addresses both these issues. 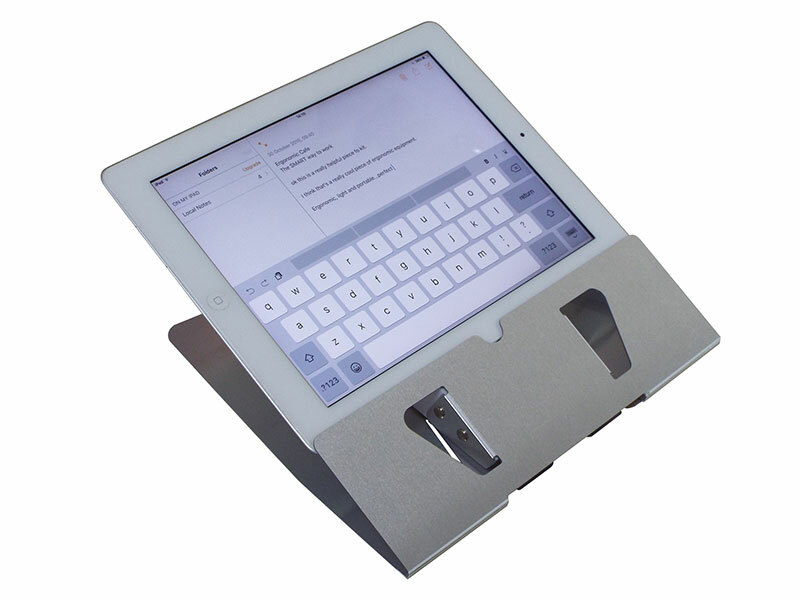 Ergonomic Cafe tablet solutions are the only stands that offer the user the unique ergonomic and comfort benefits of palm and wrist support, whilst also lifting the screen to an improved viewing angle and height. 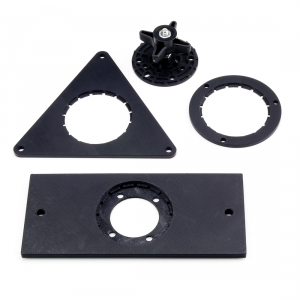 However the ARROW also offers the benefit of raising the screen height for use with an external keyboard, video conferencing or viewing videos/documents. For these outstanding benefits the ARROW has been awarded the coveted FIRA ERGONOMIC EXCELLENCE AWARD for the unique and outstanding ergonomic benefits it offers the user. Whilst typing, position the ARROW and tablet at the front of the desk to allow for straight and natural wrist form.